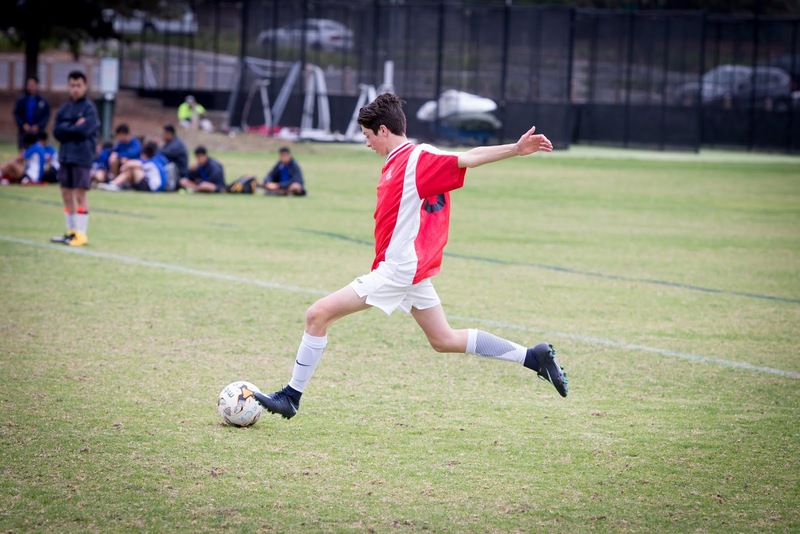 On Monday 7 May, the Intermediate Boys Soccer team took all before them to end as Kingston Division champions and go onto Southern Metropolitan Zone. Having been trained over the preceding few weeks, the squad was in good shape to hopefully do well. The team had a pool of two teams to negotiate before a Semi and then a Final. The boys were pumped-up and ready to show their skill and class as people, which they demonstrated ably. The team beat Brighton, Mordialloc and Bentleigh enroute for the Final V Parkdale. Throughout the whole day the team was led by Oliver Lopez. Combined with his defensive partner Mannie Psarakis, the ball playing centre backs set the tone switching the ball and giving new meaning to the word ‘composure’. With Full-backs Killian Ford, Matt Sagiadelis, Liam Ayres and Liam Haidaris holding sway our defence was firm. The midfield was full of strength and power with Cian Ford, Manny Hontzogloy, Ishan Malakar and Mina Aziz dominating. Upfront it was the relentless running of Levi Scholz, the skill of Sam Ghobrial and the penalty box instincts of Christian Lignos who did the damage. Speed and skill was also shown in differing positions by Oscar Yuen. Our Goal keepers were Max van Denderen and Ethan Zelmanovich. The Final against Parkdale was highlighted by a first half Sam Ghobrial rocket which if they had a net behind the goals would have broken it. That same imaginary net would be no longer after Ishan Malakar scored a stunning free kick. Captain Oliver Lopez scored from a penalty to make it 3-0. The boys from McKinnon played with poise and class to progress through to Southern Zone on Friday 10 August. It was a wonderful team effort by all the boys. Every single member of the squad contributed something to the team on the day and should be very proud of not just their football ability but their ability as fine human beings. The boys worked hard for each other and it showed.